Introducing Emtek’s new Industrial Modern Cabinet Hardware Collection! Edgy and transitional, this collection is inspired by industrial brackets and fittings, but versatile enough for everything from farmhouse to traditional-style interiors. 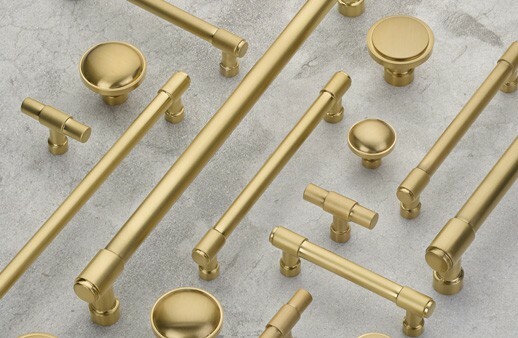 Click here to learn more about Industrial Modern Cabinet Hardware. Modern industrial interior design is about exposing the old with the new to create a raw, edgy style. Oftentimes, structural elements are turned into showpieces to achieve a look that would otherwise seem unfinished. Adding sleek, modern elements is what gives the design a celebrated juxtaposition that marries the old and new together for a sleek cohesive look. Exposed pipes, beams and ducts create visual interest and keep a building’s history alive. Many choose to accent these features by selecting high-sheen steel or chrome accents, like the ones shown here from Emtek. © 2019 Excel Marketing All Rights Reserved.